His 8 years of living in the White House is over. He’s (mostly ) gone … but questions remain . . This came from a union guy in Chicago who didn’t vote for Obama. Very interesting perspective! It will be interesting to see what they put in his “Library” about his early years now that he is out of office. This should be a cause for great concern. To those who voted for him, you may have elected an unqualified, inexperienced shadow man. Have you seen a movie named “The Manchurian Candidate” ? He is such a great orator; why doesn’t anyone in Obama’s college class remember him? Why won’t he allow Columbia to release his records? Nobody remembers Obama at Columbia University. Nobody recalls him . Root adds that he was also, like Obama, Class of ’83 Political Science, and says, “You don’t get more exact or closer than that. Never met him in my life, don’t know anyone who ever met him. At class reunion, our 20th reunion five years ago, who was asked to be the speaker of the class? Me. No one ever heard of Barack! 1.Why was Obama’s law license inactivated in 2002? It is said there is no record of him ever taking the Bar exam. 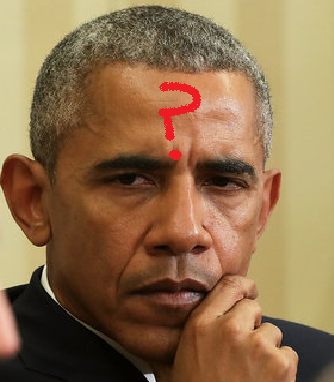 It is circulating that according to the U.S Census, there is only one Barack Obama but 27 Social Security numbers and over 80 alias’ are connected to him. Please continue sending this out. Somewhere, someone has to know SOMETHING, before he reorganized Chicago?… SOMETHING!!! He just seemed to burst upon the scene at the 2004 Democratic Convention. ANYONE??? ANYWHERE??? ANYTHING?? ?